Welcome to Log Cabin Store & Eatery! We are your one-stop shop for all the things you need to enjoy the northwoods! Our store includes sporting goods, clothing and footwear, gifts, furs, Wisconsin grown-wild rice and eatery. Located in beautiful Danbury, Wisconsin, we can fill your last-minute needs including gas, milk and most everything else when you are on the go. "Everything for the Water to the Woods!" 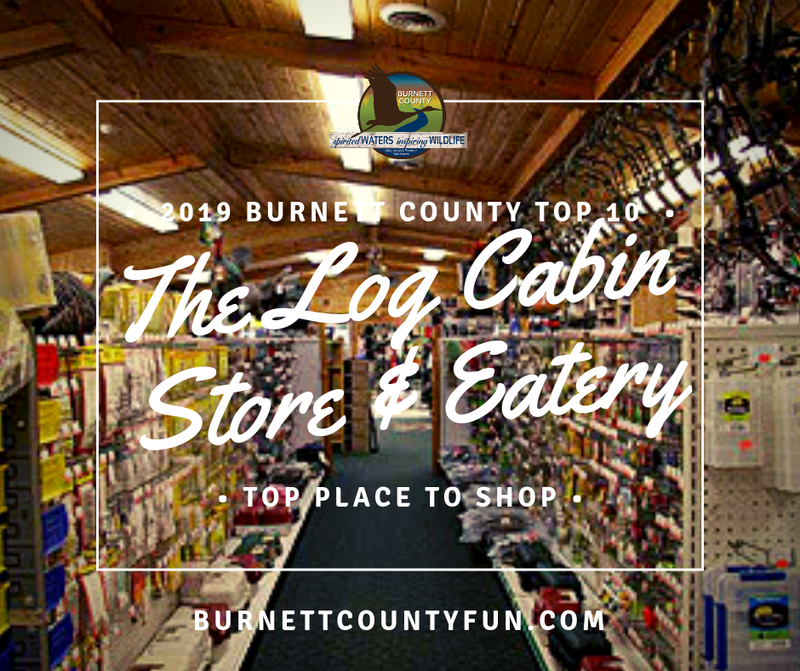 You voted, and your Burnett County's 2019 Top Place to Shop is The Log Cabin Store & Eatery! Read about all the Burnett County Top 10 Must Dos here. We serve the following communities . . . Danbury, Webb Lake, Dairyland, Webster, Siren, Hertel, Grantsburg, Yellow Lake, Oakland, A & H area, Falun, Alpha, Frederic, Spooner, Hinckley and Cloverton, Minnesota, Lewis, Clam Falls, Burnett County, Douglas County, Washburn County, Polk County.